There are many tools that allow you to obtain videos and audio from websites. 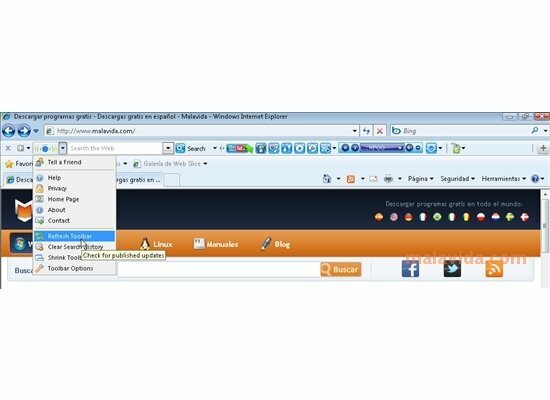 Freecorder provides your browser with a set of different quick access buttons for that purpose. 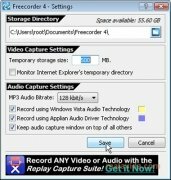 Thanks to this software you'll be able to download videos, carry out audio recordings and convert files to different formats. 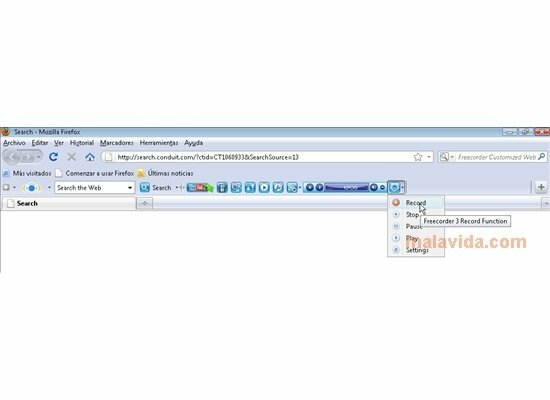 The software integrates perfectly into Internet Explorer and Firefox, the compatible browsers, to make the procedure a lot easier and more comfortable thanks to specific buttons that integrate into the toolbar. What's more, the pack includes a version of FLV Player, one of the best contents players that exists on the market. After installing it, you'll only have to configure the program from the corresponding window to start using it. 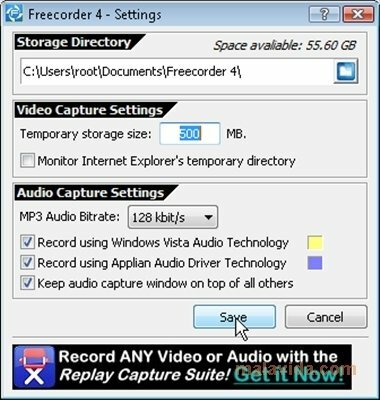 In that window it will offer the possibility to specify the folder where the files will be stored as well as technical specifications about the video and audio capture. To capture audio you'll have two recording technologies. On the one hand, you'll have the Windows Vista audio technology, something that is logically recommended for the users of that operating system, and on the other hand, Applian Audio Driver Technology, the method that is valid in the majority of cases, including older operating systems like Windows XP and 2000. Freecorder also includes useful tools to watch television from all over the world, enjoy hundreds of online radio stations and perform searches via its integrated Google search engine. If you like having the content you encounter on the Internet so that you can enjoy it whenever you want, you should have a tool like Freecorder.